Are you ready to hit the road? Raleigh’s Merit 1 is the ultimate entry-level endurance road bike that is ideal for commuting, hiking or riding with a group around town. Raleigh Bikes Merit 1 has been designed with a 6061 aluminum fork and an alloy SPF fork that makes it the ideal bike to take you for long distances. If you travel on rough roads, this bike will suit your needs. This is because; it has been equipped with wide tires to increase stability and has the ability to handle obstacles along the way thus providing ultimate comfort and efficiency. What makes Merit 1 the most efficient endurance road bike? Let’s find out! 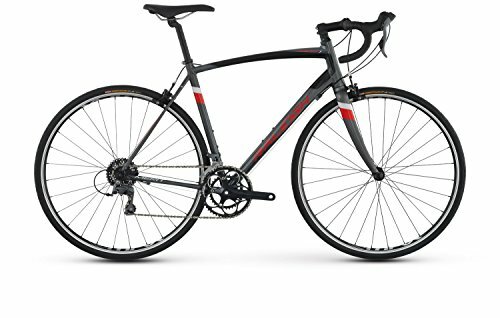 Is this bike ideal for you? Are you a beginner looking for an entry bike that’s made to provide comfort and efficiency? Merit 1 is a lightweight bicycle made with aluminum endurance frame to offer a comfortable ride especially for beginners who can’t handle the discomfort of long distance riding. One that might just be included on our Best Entry Level Mountain Bikes – Ultimate Guide To Buying Beginner Mountain Bike article? Other than beginners, this bicycle serves the purpose for those who want to begin fitness training with a bicycle or those who prefer to commute or ride on a bike around town. Raleigh Merit 1 bicycle has been built from 6061 aluminum double-butted custom formed tubing frame which is light and more durable than most traditional bikes. Its Kenda Kwick Roller Sport 700 BY 28c tires are wide to improve stability and fast rolling. This bike is fitted with an optional Arisun 700x28c tires add-on which is more comprehensive than most traditional road rubber. As a result, it offers a cushioned ride making them more efficient than any other standard bike. If you are not convinced to ride on unknown terrains, there is no need to worry. This is because Merit 1 has been fitted with Shimano Claris 8spd STI shifters that help one to flatten out any raised terrain such as a hill and comes with 16-speeds that one can choose from. With a weight of only 22.6 lbs., this lightweight bicycle is able to move at high speeds while maintaining stability. What would boost your riding confidence more than a bicycle with Tektro dual pivot caliper brakes? Installed with super-efficient dual pivot caliper brakes, this bike will promote not only your comfort but also your safety ensuring that you get to your destination safe and happy. The brakes also make it easy for the user to move without struggles. In addition, this bicycle provides aluminum cranks with 2 by 8 Shimano Claris derailleurs that provide varied gear options which are ideal for most terrains. This Claris drivetrain offers a reliable shifting that most traditional rim brakes can’t handle stopping efficiently. Moreover, it is also fitted with custom tapered SPF fork that increases its efficiency. Other than its outstanding features, Raleigh Merit 1 Bike is readily affordable compared to its counterparts the Merit 2 and 3. If you want to commute and build fitness on a low budget, then the search is over! Merit 1 is a capable and quality bike that’s affordable. Are you still undecided? Make up your mind today and experience Raleigh’s Merit 1! You will gain an entirely new perspective for riding on two wheels. With this bike you can take part in charity bike rides, you can ride around town alone or in a group or you can choose to have it for commuting among other needs. This bike has been equipped with an aluminum frame, dual pivot caliper brakes, a receptive aluminum fork and wide tires make it perfect for all your biking needs. With its unique designs and features, this bike will enable you to pedal fluidly and go wherever the road leads you Search no further, Raleigh Merit is the ultimate endurance road bike!